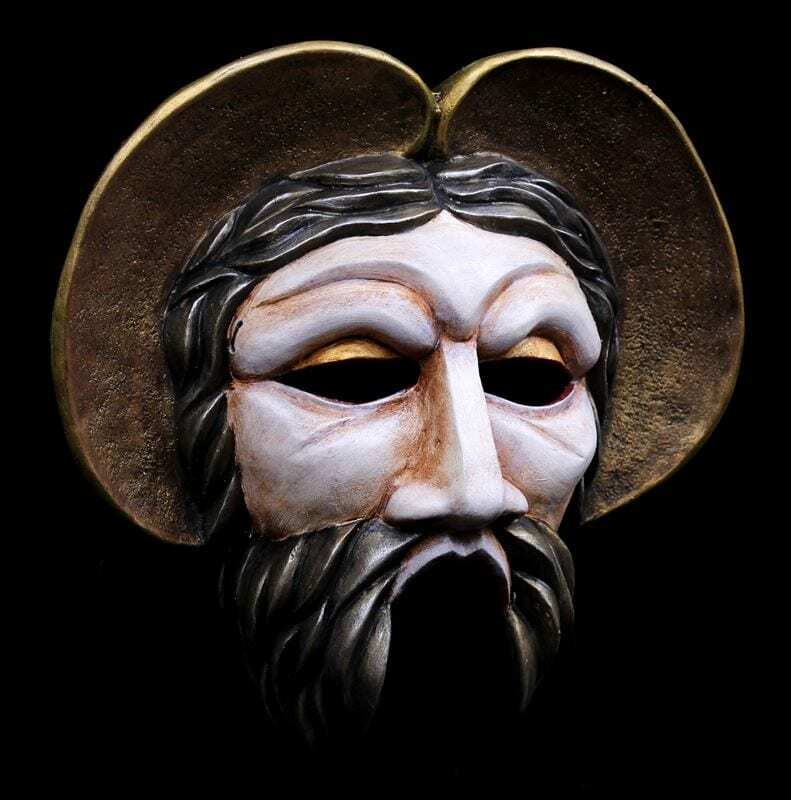 The half mask Jupiter was created for the play Amphytrion by Moliere. This mask is also an excellent addition to the Greek theater masks offered. The expressive qualities of this mask exhibit strength and pride. Jupiter holds himself above the others through a presence of power. Jupiter is the god of sky and the the god of the gods in Roman mythology. He is the father of Mercury. He finds himself in a bit of an awkward situation in that he happens to be sleeping with Alcemena, Amytrions wife and winds up impregnating her with twins. This mask is made rigid latex and is held to the head with a nylon strap adjusted with a cam buckle. Like all the masks from Theater-Masks.com it is intended for classroom and professional use. It is built to last.